This THP is about 6 miles SW of Burney, CA and a few miles SW of the summit of Highway 299 at an elevation of 4,400 to 4,700 feet. 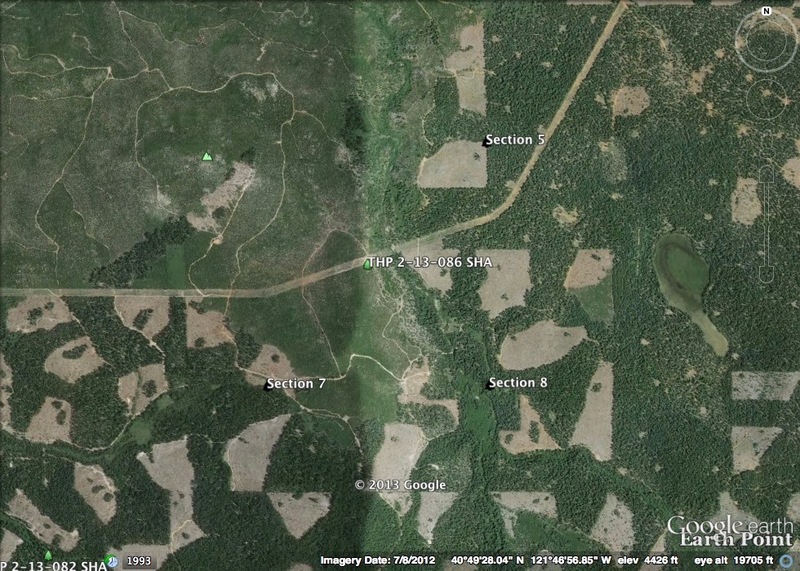 Roseburg Resources Company is planning a clearcut tractor based logging operation in mixed conifer forest. 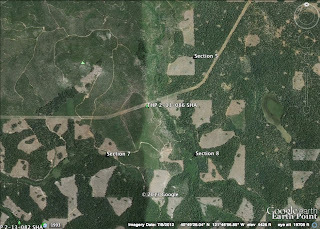 The proposed THP will add another 144 acres of clear cuts right next to Roseburg Resources Company’s recently proposed Mt Gomer THP 2-13-082 SHA which will clearcut an additional 219 acres to the south and west. There is a goshawk territory nearby in Upper Montgomery Creek on USFS land, and both osprey and bald eagle have been seen infrequently along Hatchet Creek. Pacific fisher has also been reported to be nearby in the Snow Mountain area. English peak greenbriar was found in unit 802W, and shasta beardtongue was found outside of the THP units along Hatchet Creek. More information is available on the THP Tracking Center website.